It’s sorry to see that myths about dogs are still so common among animal lovers. 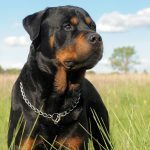 Rottweilers are dogs with a bad reputation, but most of what people think they know about them is partially, or completely, false. 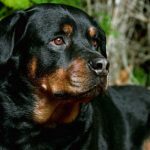 In this article I give you 10 of the most common misconceptions about Rottweilers, and what the truth is behind them. 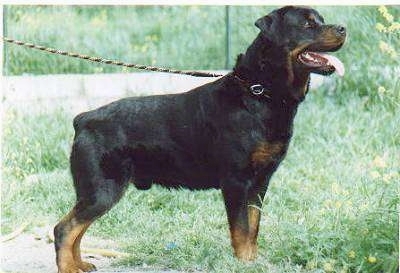 Rottweilers are medium–large dogs, with massive and powerful bodies. Not all owners understand the nature of these strong dogs, so sometimes they encourage irresponsible breeding practices and inappropriate training. 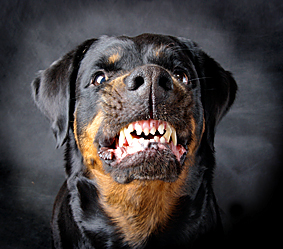 As a consequence, some Rottweilers can be aggressive. 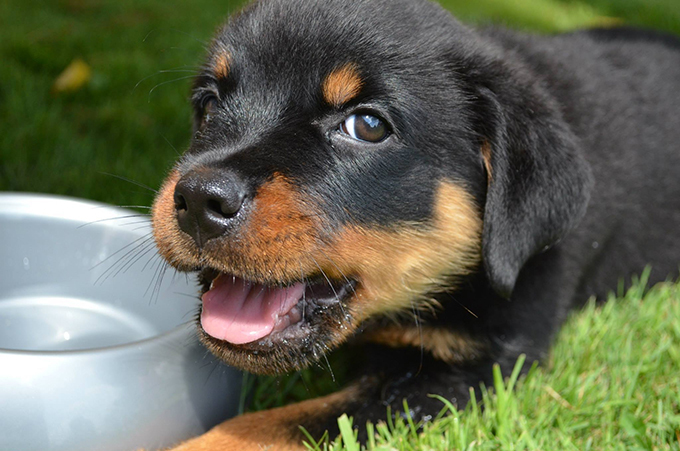 However: there’s no scientific evidence to sustain that Rottweilers are a vicious breed. In fact, most of them are playful and affectionate; it’s just their impressive looks that scare most people. Males are 24-27 inches tall (61-69 cm) and weigh between 95 and 130 pounds (43-59 kg), while females generally are 22-25 inches tall (56-63 cm) and reach 85-115 pounds (38-52 kg). 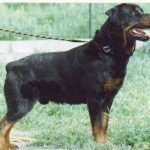 With a history going back 2000 years ago, Rottweilers have been working dogs, first used as cattle dogs, then for bear hunting and for pulling small carts. Today, they work as service dogs, and in some countries are trained to participate in military and Police actions. They’re intelligent and obedient dogs that respond well to training. 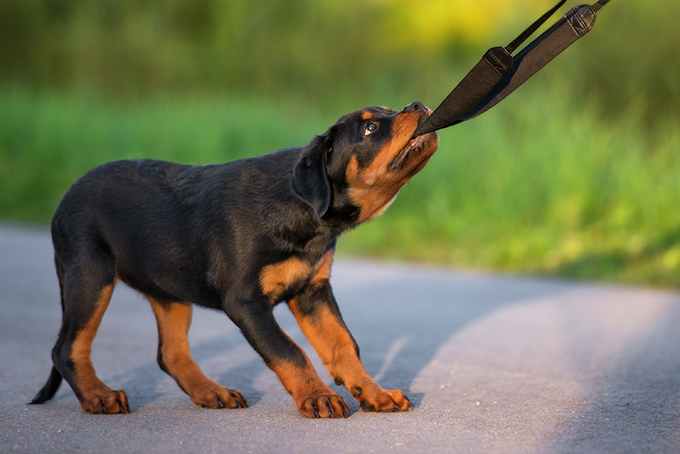 Besides housebreaking, if you introduce obedience training at an early age, you’ll have a great family dog always ready to follow orders and respect rules. In more than 87% of the cases, attacks happen because the child wasn’t supervised. Kids don’t know how to behave with animals, so leaving them alone with a large and muscular dog is never a good idea, no matter the breed. All dogs can attack small kids, from American Pit Bull Terriers to German Shepherds, to Chihuahuas. 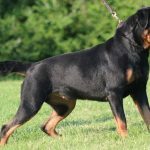 But as some dog breeds have bad reputations, the news about a Rottweiler attacking a child spreads faster. 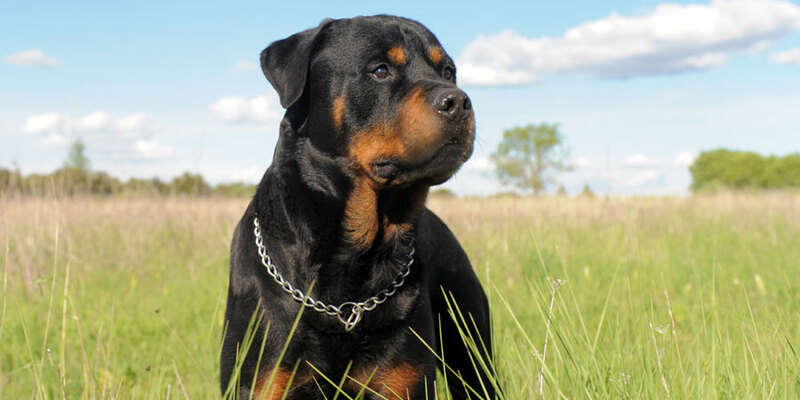 Rottweilers are not dangerous to children, as long as you explain to your kids how to treat animals. The truth is these dogs are loving and protective, and make excellent guard dogs. This one is partially true, because a dog’s temperament is often determined by her parents. 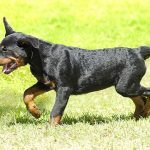 Generally, these dogs should be trainable and loyal to their families, if the breeder uses dogs with good temperaments for having new puppies. 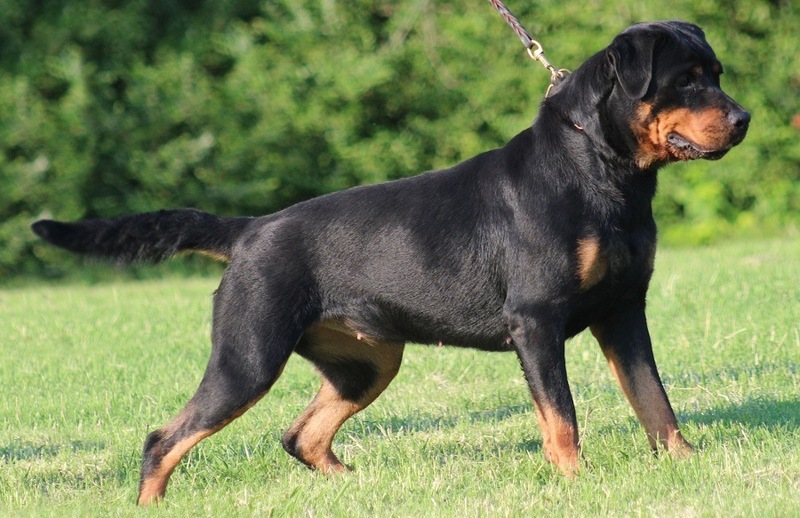 As Rottweilers are a dominant breed, who take guarding seriously, early socialization is a must. 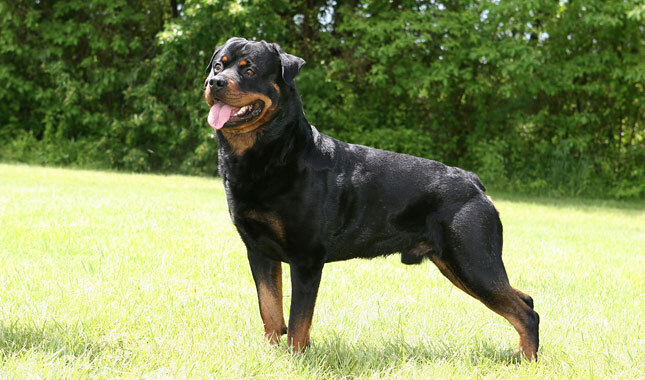 A Rottweiler that knows how to behave around foreign animals or humans rarely does unpredictable things. male dogs that live together should be neutered, to avoid territorial issues. As much as I would like it to be true, this is another piece of false information. 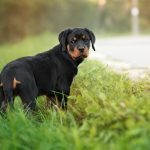 Rottweilers have a double-coat and shed mostly in spring and autumn, however dog hair is going to be a constant presence in your home all year round. You can reduce the amount of hair by grooming your dog once or twice a week, using a brush. Start brushing from the head and go towards the tail, always in the direction in which the hair grows. 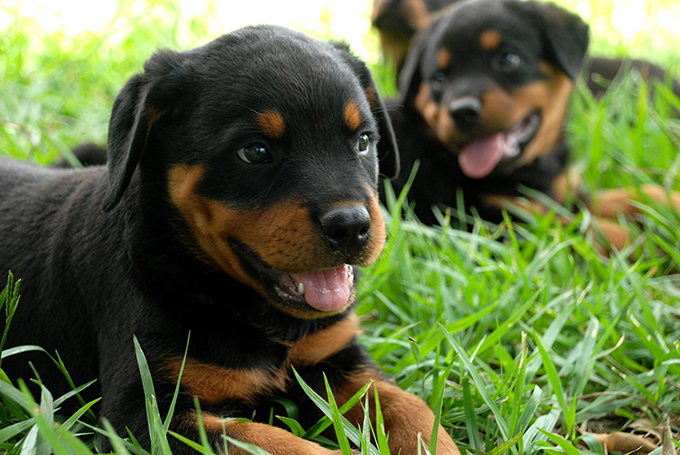 Rottweilers’ loyalty makes them the 9th most popular breed in the US, according to the American Kennel Club. There’s no reason to believe they would attack their owners. In fact, they’re extremely protective of their families. 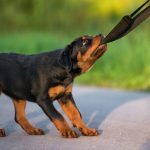 However, any dog will attack when someone’s hitting or hurting her, so never use physical punishment on your dog for training purposes. 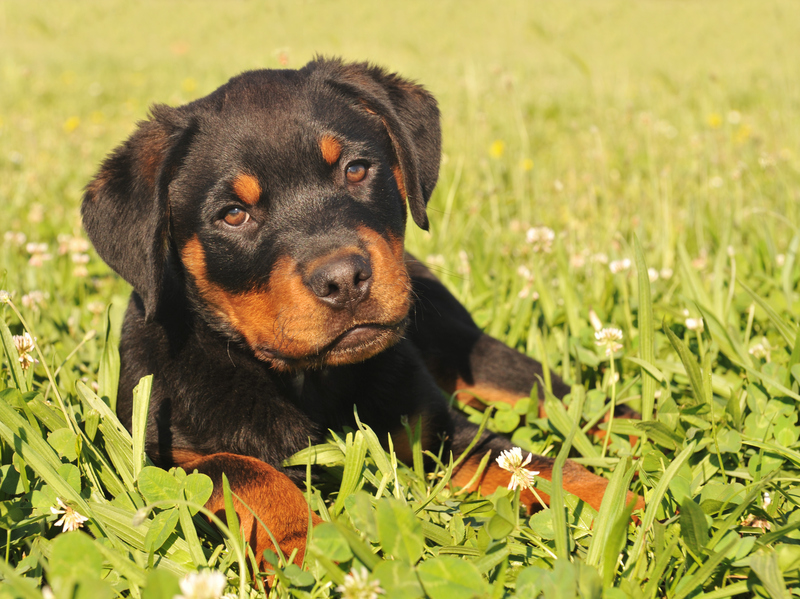 A Rottweiler that’s afraid of her owner develops behavioral issues, including aggression. Positive reinforcement is the best method to train your dog. These dogs have been bred for farm work, but this is no longer valid today, when we adopt dogs to enjoy their loyal company. 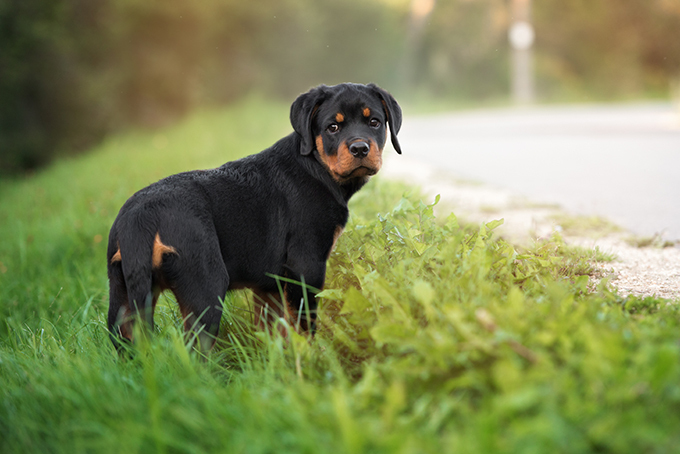 Thanks to their thick coat, Rottweilers can handle quite low temperatures, but this doesn’t mean they should be abandoned outside, especially not during cold winter nights. These dogs love to be around humans. 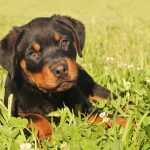 Isolating your Rottweiler will only cause her separation anxiety, depression, and destructive behavior. 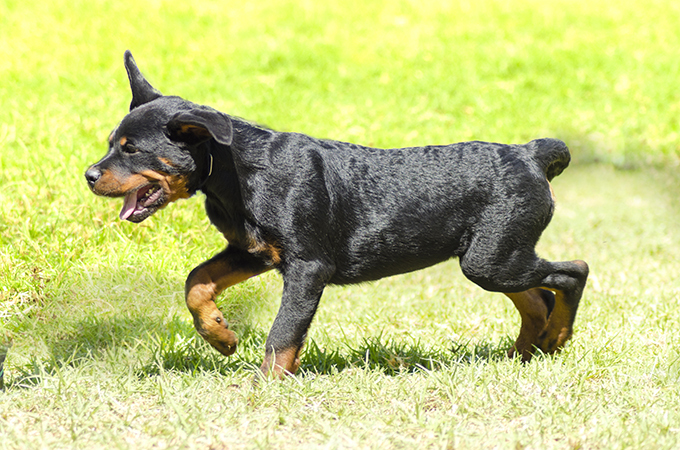 Allow your dog to run freely in the yard, take her for long walks and make sure she gets plenty of exercise. But, at the end of these activities, bring your dog inside where she can spend time with her family. 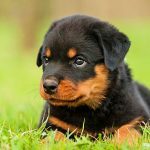 Most countries in the world allow you to own a Rottweiler, but you’ll have to deal with restrictions and specific law. 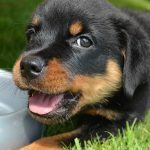 In some cities across the US Rottweilers are banned, while some States have rigid regulations regarding breeding or owning such dogs. 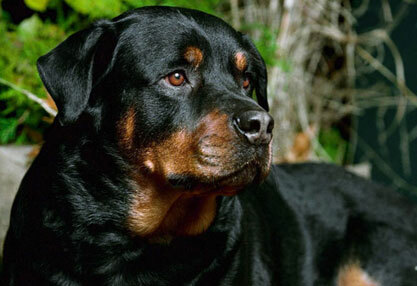 the Rottweiler Club of Canada. Lately, this practice has been seen as unethical. As in most countries in Europe, standards have changed and allow their tail in a natural condition, so most probably things will also change in the US and the UK. 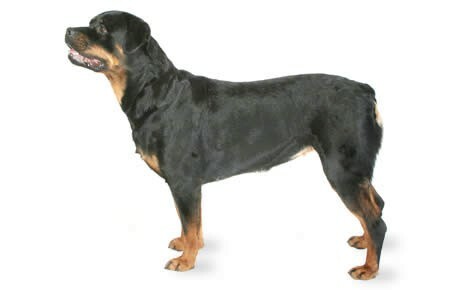 Each dog is different, so no Rottweiler should be judged by what another dog has done or by what people think. Most of these dogs are not aggressive and no Rottweiler is going to attack you just like that. In fact, they can be trained to obey and can even be used as social dogs or in Police work, which makes them nice companions. What do you think about this breed? 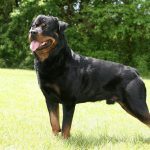 Do you have any experience with Rottweilers or would you like to get such a dog? Let us know in a comment below. 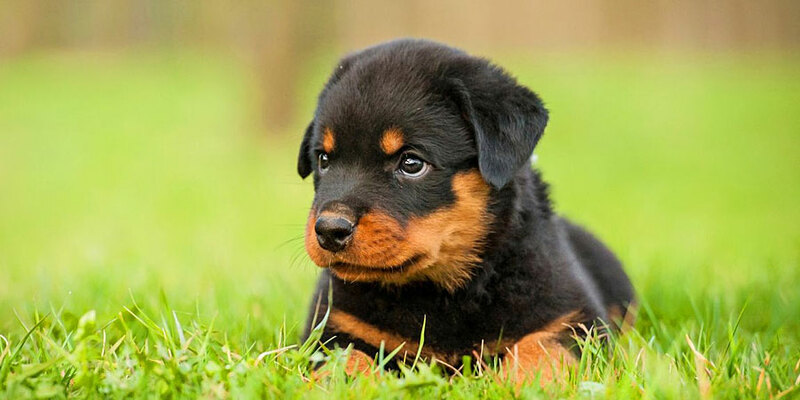 I’m a proud owner of a Rottweiler and have been for many years. Bentley is my third one and the Rottweiler is most definitely my pick of large breed dogs. Very loyal loving dogs. He’s like a big ole teddy bear and loves belly rubs. If he senses something wrong you best be he’s going to check it out. 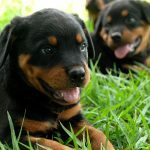 I am the proud owner of 2 beautiful Rottweilers. Samson is 3yrs and Apollo is 8mths. Both male. They are a lot of work to maintain, but I absolutely love having them around. I can honestly say this is the breed of dog I will always have. They are extremely loyal, very intelligent and will most definitely let their presence be known. Even they we don’t look for attention they always receive it. People are always commenting on the beauty of their stance and stature. Awesome dogs! If you are considering one, just know these dogs need a strong pack leader, especially for males. 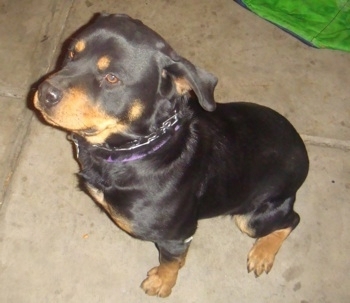 My dog Buddha was an exceptionally large Rotweiler who looked very intimidating, until you met him. He loved people other dogs, his park, his family and his treats. He did not like bullies of any kind though and because of his size that usually that wasn’t a problem. His park pack consisted of a mini aussie, a beagle, a corgie and a St. Bernard. Buddha was extremely loyal and very smart. You could tell him something and he would immediately understand. He would greet all of the trick or treaters at the door on Halloween. He would sing when my son (who plays saxophone) warmed up. He would try and succeed to match the pitch. Unfortuately he hurt his back earlier this year and could no longer walk so we had to put him down. I miss him a lot. He was a rescue and he spent six happy years with his forever family. My Neice has one and it runs with my black lab. They are so playful together and I know he’s going to end up getting her pregnant but my nieces husband says every time it happens he will just abort them. To me that’s sad. I am proud owner of my third rottie. Rosie just one of my babies was the only babysitter my son ever had. But, sad to say she passed away last year at the age of 15. I have always kept at least two, always females. My last two were rescues Brandy who I lost two years ago at the age of 9 now I have Elsa. My Rotterdam (Tank) is My World!!! He’s 2 yrs old and Adorable, Silly,Playful, Very Serious when Need be, Highly Intelligent (knows 75 words/2 languages), Confident, obedient, Protector, Very observant, therapuetic, friend,listening ear etc…. We rescued a Rottweiler mix because he was being abused. The previous owner dumped acid or a chemical like acid on his face and head so he has scars on his face. He was also born with a dislocated elbow. We took him to an orthopedic vet who told us he can’t fix his elbow as there is no way to attach it. He is such a happy puppy,he will be 9 months old soon, who always wants to play. His name is Capone,(Scarface) and he is a very fast learner. Although you have to stay on top of him at all times. Our older dog Chow/black lab is a very smart dog,very easily trained, he is 12 years old now, but totally two different breeds. Capone is now 90 pounds, hopefully he stops growing soon. We love them both as they are both amazing dogs. I grew up with German shepherds. Although I wasn’t a dog person, our 120 pound black German Shepherd gravitated to me when my sister went off to Air Force. He was terribly afraid of storms and would climb in my little twin sized bed with me and my cat. He was too big for me to push out of bed. They are one person dogs and really miss their person if they are separated. He loved the snow. He was extremely protective of me. We had a mountain lion in our neighborhood and he kept sneaking out of house and following me to school. He must have smelled the mountain lion because it was caught a few houses away from ours. After the mountain lion was caught, he stopped neaking out and following me. He was friendly with people. But, even though he was raised with a cat from a puppy, one day the neighbor’s cat got in our back yard, and he killed it. At the time, our other dog, a white lab, joined in. This all happened while my dad was in yard too and the dogs wouldn’t listen to him. They had a pack mentality. That was only incident of aggression. But they never hurt the family cats ever. My dad waited until I was an adult to tell me this. Then as an adult, a Rottweiler/Shepherd mix adopted me after I was injured. She came to my yard and wouldn’t leave. At first, I was afraid of her not knowing about Rottweilers. But she came up to me and lifted my hand and licked my palm. She must have sensed my pain. She was big at 85 pounds and I tracked down her owner who no longer wanted her because she kept knocking down their fence, because her son’s pit bulls kept attacking her. We finally took her in and she was the best dog I ever had. She bonded with entire family, not just one person. She protected our Ragdoll cats and they became best of friends. She even let them sleep in her bed and eat her dog food. She would chase stray cats out of our yard but not hurt them. She was highly intelligent and only barked occasionally. She’d get between any visiting dog and our cats to protect the cats. She had an excellent sense of smell and sniffed out a snake in our backyard and chased it off. She even mothered a stray kitten who wouldn’t stop crying and was rejected by the other cats. This kitten took over her dog house and cuddled with our dog until it was grown. They were best friends too. She made me feel more secure than our house alarm. There were certain people she did not like and would show it by her tail going straight and her hair going up and she’d growl. We always made sure to introduce her anyone who came into our house while holding her collar. My kids were always bringing friends into house and there was never a problem. When my kids grew up and left, she missed them immensely and sat by door for days moping. She pooped in each of their bedrooms when they left one time, the only house accidents she ever had, which I read meant she was calling her lost cubs home. My son had planned on bringing her to his new apartment for sleepovers, but sadly her breed (rottweiller and German shepherds) wasn’t allowed at his apartment. As I was disabled and she was a senior dog, she was at my side always. We went at same pace. I suspect she was abused because she’d flinched anytime anyone raised their hands while talking. She got better with this after years of having her and not being abused. I suspect she was left alone a lot in her former family because she played ball with herself. If you threw the ball she’d catch it and wouldn’t return it, but instead she’d keep tossing into air and catching it. She didn’t like storms or fireworks and valerian root worked best at calming her. She was stubborn and strong willed but would do what you asked of her. She passed away about two years ago from cancer and we still miss her. If we say her name, the cats look for her. The cats still miss her too. I’d get another dog like her in a heartbeat. 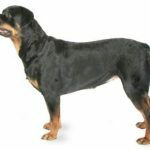 She looked like a Rottweiler but had the German Shepherd undercoat, with a German Shepherd nose, and Rottweiler eyes and very thick neck and body. 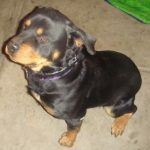 I hope this helps someone thinking of getting a Rottweiler or German Shepherd, or even a mix. They are truly wonderful dogs and will protect what they know is part of your family, like your kids and your other animals. They are pretty mellow too. She never chewed anything up. She loved her toys and the cats’ toys too. I’m now a dog person too.